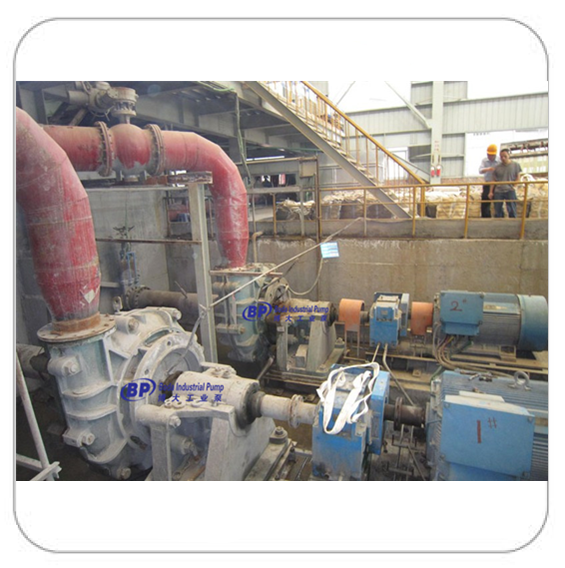 Series BHR slurry pumps are widely used in the mining, coal washery, power plant, metallurgy, petrochemical, building material, dredging and other industrial departments, etc. 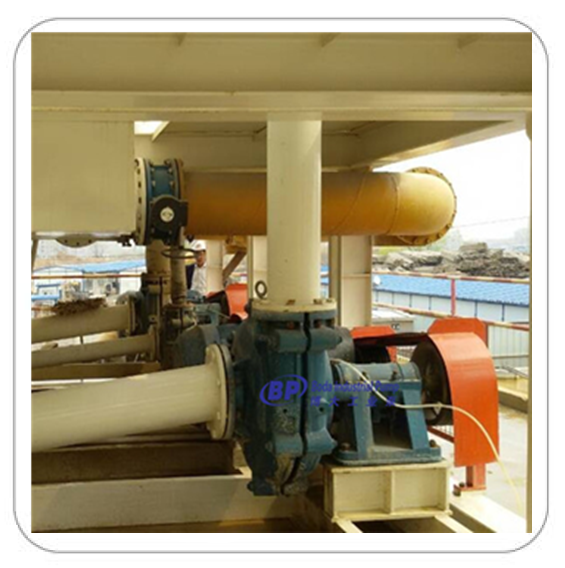 It is used in the various working sites including hydrocyclone feeding pump, underflow Slurry Pump (thickener underflow pump, filter separator underflow pump), flotation feeding pump, vibrating sieve feeding pump, shaking grading pressure pump, concentrate pump, and tailing pump. 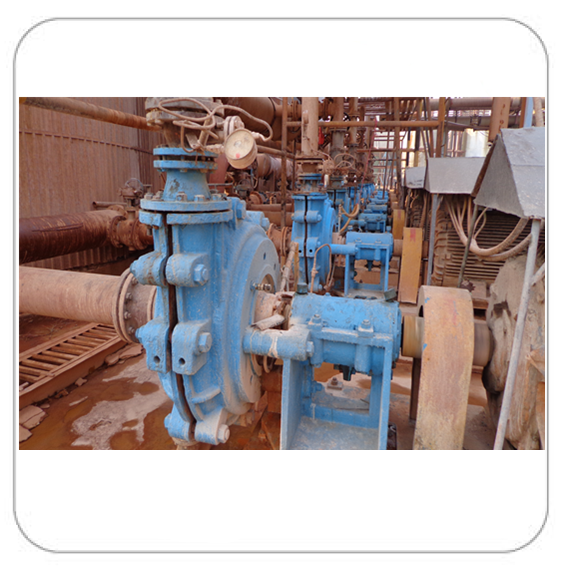 BHR series slurry pumps are similar to BH series in structure. 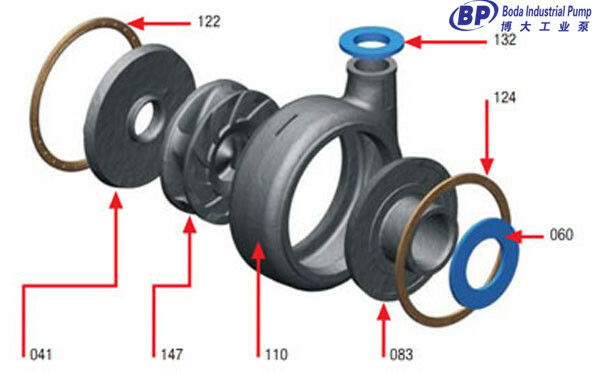 The main difference between BH and BHR is the material of wet parts, which are natural rubber, chloroprene rubber or other wear-resistant rubbers. 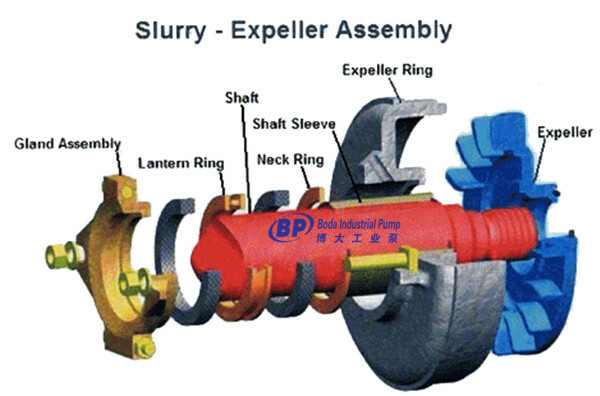 BHR are more suitable in delivering strong corrosive or abrasive slurries of small particle size without sharp edges. 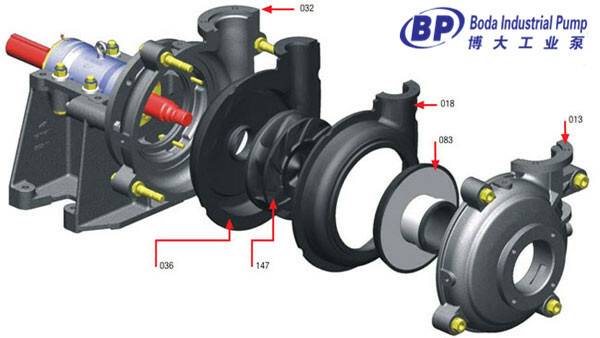 The wet parts material for standard BHR series pump is natural rubber. 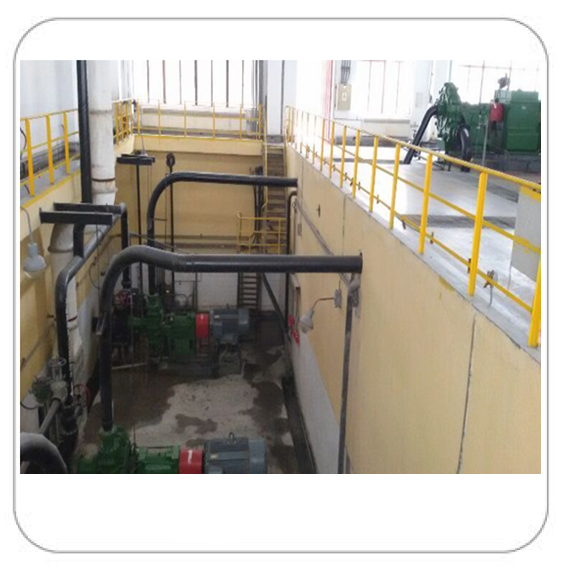 With superb anti-corrosive performance, it is ideal for the delivery of strong corrosive or abrasive slurries without sharp edge. 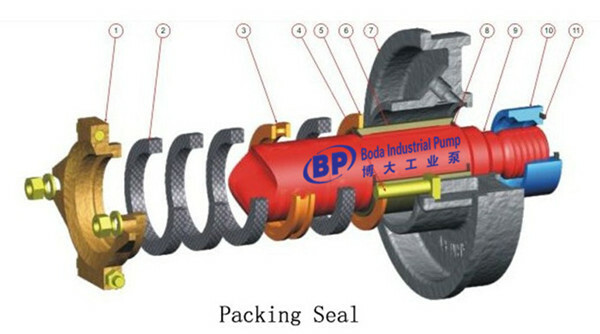 There are three standard shaft seal methods: Packing seal, Expeller seal, Mechanical seal. 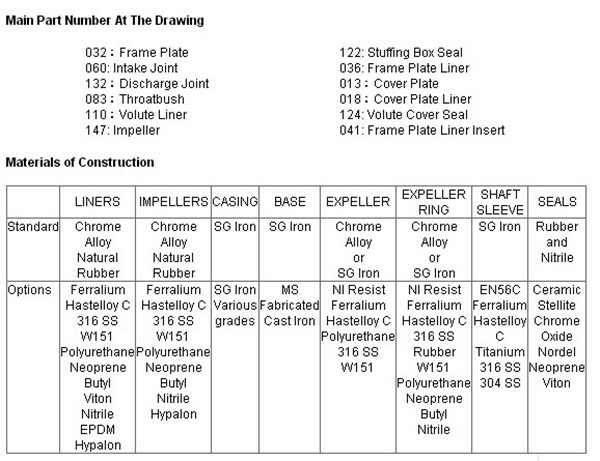 Convenient to adjust the space between impeller and front liner and can be removed completely. 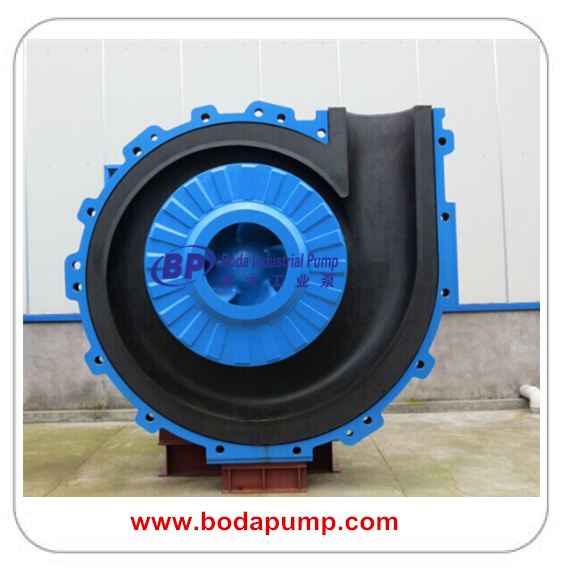 Looking for ideal Rubber Liners Sewage Pump Manufacturer & supplier ? We have a wide selection at great prices to help you get creative. 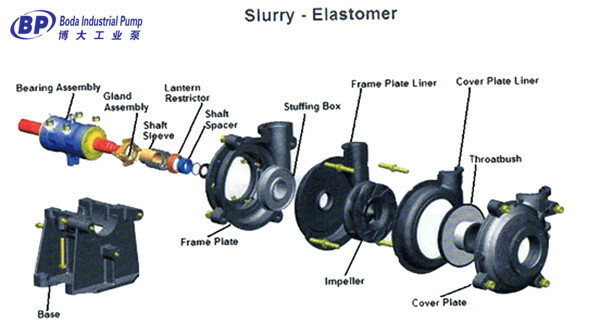 All the Slurry Pump Rubber Liners are quality guaranteed. 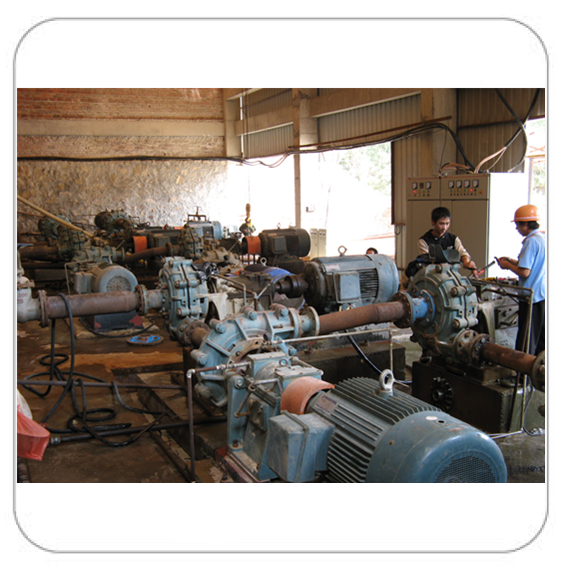 We are China Origin Factory of Rubber Liners Ash Mud Pump. If you have any question, please feel free to contact us. 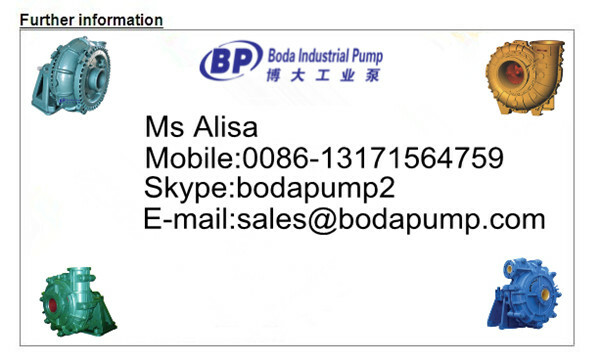 Copyright © 2019 Shijiazhuang Boda Industrial Pump Co., Ltd. All rights reserved.